When Sargento recently asked me to lend a hand with their new “Real Cheese People” campaign, I couldn’t resist. I immediately thought of several friends and family members who are quite passionate about cheese. This could be fun! If I had to name a vice that would be really hard for me to give up, it would have to be ice cream, followed by chocolate. But I have several friends who would shed tears at the thought of a day gone by without their beloved cheese. Then there is my younger son who has always been passionate about cheese. When he was little, it was all about the plain cheese sandwich. No mayo, no mustard…just cheese and bread. Every day. Oh, and the cheese had to be cold. 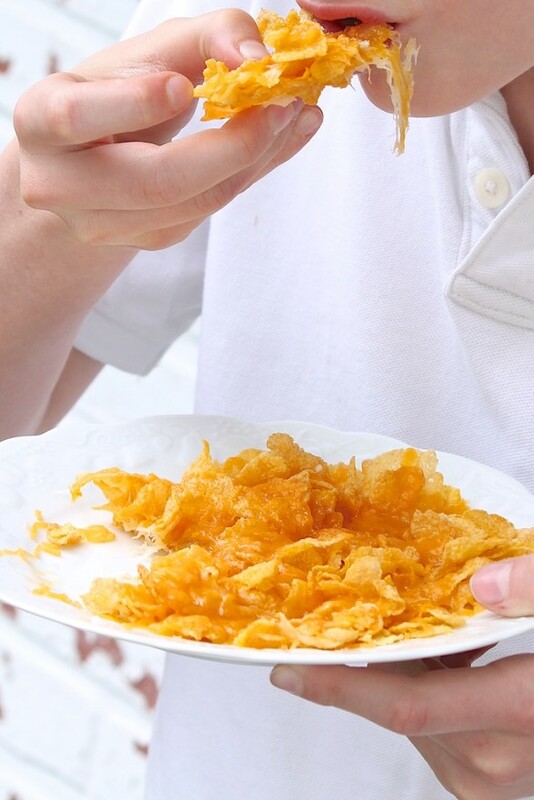 Now, his favorite after-school snack is Corn Flake Nachos. I kid you not. And they are shockingly good. So while a cheese tray filled with Havarti, aged cheddar, and New Zealander cheeses from Sargento’s Tastings line is an ideal snack for my husband, older son, and me–perfect for company, too–my younger son grabs the shredded options (and they’re all uniquely worthy of his nachos!) and makes his masterpiece. The cheese and crackers snack is slightly more expected, but you really can’t go wrong with either. 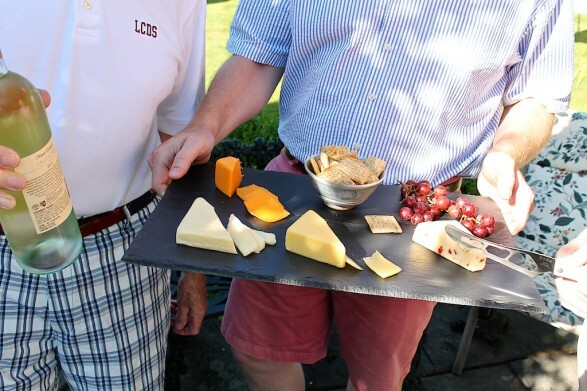 Who knew cheese could be a form of artistic expression and creative ingenuity? If I could count the times my younger son has whipped up a plateful of these clever nachos for an after-school or evening snack, I'm sure the cheese total would be impressive. Though one might think that crispy nachos couldn't be created in the microwave, it really works--and smells surprisingly delicious. As an option, the nachos may be heated in the oven until the cheese is melted and gooey. Yields 2 small kid servings or 1 big kid (or adult) serving. 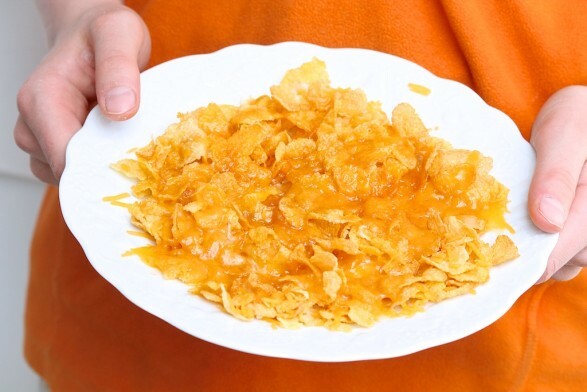 Sprinkle half of the corn flakes on a microwave-safe plate. Scatter half of the cheese over top. Repeat layers. These amounts will get you started with a good cheese-to-flake ratio, and then you can eyeball going forward. Microwave on high for 37 seconds. Top with a little salsa, if inclined, and dig in! 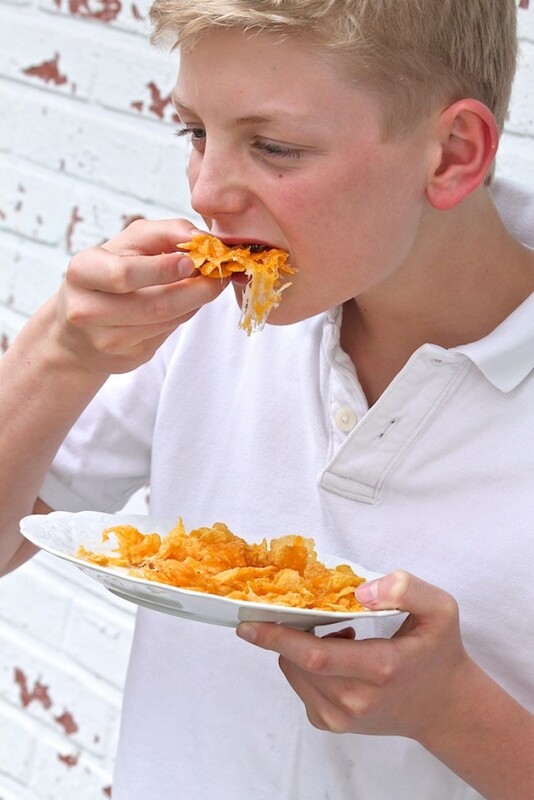 Depending on his mood, Christian usually chooses sharp cheddar or a Mexican blend for his nachos–and he recommends the fine cut shreds to get the cheese in all the nooks and crannies. All-natural Sargento Tastings are smaller-sized cheese blocks that come in a wide variety of flavors. They’re ideal for snacking and perfect to have on hand for an impromptu cheese tray. My niece, Evie, can’t yet say cheese…but she sure loves to eat it. To see more Real Cheese People, you can now follow Sargento on Twitter and Instagram as well as on Facebook. I made these for an after school snack for my son and he loved them. Then I made another plate for myself. Apparently I was eating too much of his! 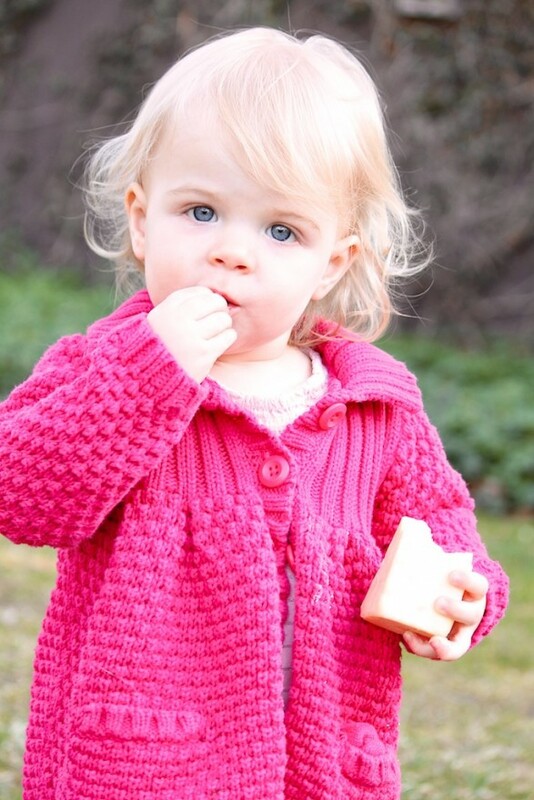 I know…it’s hard for me not to steal a few bites when my kids are eating them! Sargento’s Nacho shredded cheese went perfectly on these nachos. I would have never thought of this, but it’s REALLY good!! We love the nacho variety, too. So glad this was a hit! I’m in the no-salsa camp for this one, too, and I love your idea of the southwest chipotle seasoning blend. Thanks for mentioning…you’re making me hungry!